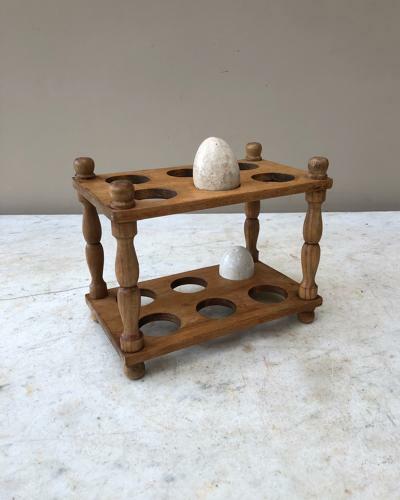 Late Victorian Treen Two Tier Egg Rack with Turned Column Supports. Made of Beech the egg rack is in very good condition...all sturdy and solid. The column supports are dowelled together all very good quality. Holds one dozen or 12 eggs.